Laptop, Notebook, Tablet and Netbook LCD Screens, Inverter. Our Products >> Laptop Components >> Laptop LCD Screens, Ribbon Cables, Hinges and Inverter. Shop Laptop LCD Screens, Ribbon Cables, Hinges and Inverter. 135218-001 Compaq Armada LCD Ribbon Cable. Acer Aspire 4830TG-6808 Glossy LCD. New. 14". Alienware P06T Left and Right Hinges. New. Apple iBook 632-0160-A Hard Drive CD ROM Ribbon Cable. 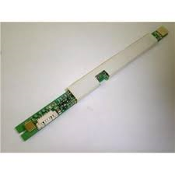 Apple iBook 632-0175-A Hard Drive CD ROM Ribbon Cable. Averatec 29+001773+02 1000 1050 1100 10.6" LCD Ribbon Cable. Averatec IV10123T Inverter Board. Working Pull. Averatec LTN106W2-L01 10.6" WXGA Glossy LCD Screen. Compaq 316800000008_ROG LCD Converter. Compaq E152099, 83-120063-3000 LCD Inverter. Refurbished. Compaq 60170IH08010 Inverter Cable. Refurbished. Compaq 76VOA V1000 NX5000 NC8200 NX8000 LCD Inverter. Compaq Armada 159532-001, E500 LCD Video Cable. Compaq Armada M700 E500 N600 LCD Hinge. Left and Right. Compaq INVR-054 Armada E500 LCD Inverter. Refurbished. Compaq M700 Left and Right Hinges. Refurbished. Compaq P512129 Presario 15" LCD Inverter with Ribbon Cable. Compaq SPS-409933-001 LCD Inverter Board. Compaq SPS-418888-001 LCD Inverter. Compaq XAD378NR V1000 NX5000 NC8200 NX8000 LCD Inverter. Dell 07K6895 LCD Inverter. 15". Refurbished. Dell 487GT Latitude E5400 E5500 LCD Backlight Inverter. Dell 72W6R Latitude E5500 LCD Video Cable. Refurbished. Dell 740KU LCD Bracket with Hinges. Refurbished. Dell DW622 Latitude E5500 LCD Video Cable. Refurbished. Dell Inspiron 1525 1526 Hinge Left and Right. New. 15.4" Dell Inspiron 47L7432LCD Inverter. Refurbished. Dell Inspiron 6632L-0206A LCD Inverter. Refurbished. Dell Inspiron 8100 C810 15" LCD Cable. P/N 146CM. 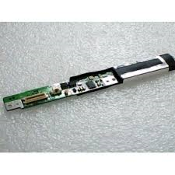 Dell Inspiron JC078 XPS M140 E1405 630m WXGA LCD Ribbon Cable. Dell Inspiron Mini 10 Hinges. Left and Right. New. Dell Inspiron XPS M140 14.1" Genuine Intel Motherboard MD253. Dell Inspiron XPS RE37712. M140 E1405 630m WXGA Hinge. Dell Latitude 14" LCD Cable. 7350E A00 4397U. Dell Latitude CP CPx CPt CPi CPIR Hinges. L and R. Dell Latitude D620 D630 L and R Hinges P/N TU507. Dell LCD Inverter. K08I022.00, 6632L 0266B. Dell Left 4640E and Right 5640E Hinges. 14.1". Dell LTN150P2-B LCD Inverter. 15". SXGA+. Dell LTN150P2-L03 LCD Screen. 15". SXGA+. Dell RM551 Latitude E5400 E5500 LCD Backlight Inverter Dell W114C Laptop LCD Screen, 15.4", WSXGA. New. Gateway Solo 9100 DA0SP1YB4D2 Board. Gateway Solo 9100 L and R Hinges. Gateway Solo 9100 LCD Brackets. Left and Right. Gateway Solo 9100 LCD Ribbon Cable. Gateway Solo 9100 Left and Right Hinges Covers. Gateway Solo DAINVVPB2B8 LCD Inverter. HP 419135-001 Display Bracket Kit. 2 Per Order. HP 432298-001 AT8A, FBAT8064014 , FBAT8063018, 15.4" Hinges. HP Compaq 15" SXGA+ LCD Video Cable 6017B0001701. HP Compaq 6017A0043402 LCD Flat Wire. New. HP Compaq 6017B0055901 LCD Ribbon Cable. New. HP Compaq LCD Inverter 83-120062-3000 T271041.00. Refurbished. HP Compaq P95-R SZS P95-L SZS LCD Hinges. HP DV9000 DV9500 DV9600 DV9700 DV9800 17" Hinge. New. HP Pavilion 02AHA AC DC Jack. DV6. Refurbished. HP Pavilion DV6 LCD Screen Video Flex Cable DD0UP8LC006. HP Pavilion DV6000 Sound Board Cable 32AT8AB0003. HP Pavilion G7 G7-1000 Series Laptop LCD Hinges. HP Pavillion DV6000 DV9000 LCD BKT+Hinge (Left +Right) Set. HP TDK AS023172514 TBD392NR Laptop Inverter. New. HP Compaq HT12X21-22 TC4200 12" LCD Screen. Hyundai HT13X13-213 LCD 13.3" XGA Screen. Refurbished. Hyundai HT13X13-214 LCD 13.3" XGA Screen. Refurbished. IBM 05LK2850 ThinkPad LCD Ribbon Cable. 05K2850. New. IBM 089TXX LCD Screen. Refurbished. IBM 11T8352 Lenovo ThinkPad 11P8351 14.1" LCD Screen IBM 26P8139 LCD Inverter Board. Refurbished. IBM 26P8464 Lenovo ThinkPad LCD Inverter. J15102F. IBM 27L0490 FRU: 27L0519 14.1" LCD Ribbon Cable. IBM 27L0707. New Thinkpad LCD Assembly 14.1" SXGA+. IBM 91P6804 Lenovo ThinkPad LCD Cable 91P6786. IBM INVC571B ThinkPad T20, T21, T22, T23 LCD Screen Inverter. IBM JP-089TXX LCD Screen. Refurbished. IBM Lenovo A30 A31 A31 Flex Cable 27L0677 27L0682. IBM Lenovo ThinkPad T20 T21 T22 T23 Screen Inverter. Refurbished IBM Lenovo TX38D91VC1FAD 11P8313. R40 15" LCD Screen. IBM Thinkpad 60.46B06.031 LCD Ribbon Cable 13.3". IBM Thinkpad LCD Hinges Left and Right. Refurbished. IBM Thinkpad T43 15" LCD Screen Brackets 13R2357 13R2356. LT141X7 LCD Screen, 14.1", XGA 1024X768, Matte. Olivetti Echos P100C 521-86000-1001 LCD Ribbon Cable. Olivetti Echos P100C BLC216 Inverter Board. Refurbished. Sony Vaio LCD Cable For 10.6" LCD Panel. 1-962-122-13. Sony Vaio PCG-TR 10.6". Clutch Hinge Set. Left and Right Hinges Toshiba LCD Glass Cover and Display Panel. LTM09C011-B. Toshiba LCD Ribbon Cable. B36071731017. Refurbished. Toshiba LTD141ECVV Laptop LCD Screen 14.1". Refurbished. Toshiba UA0354P03, NJD-3493 LCD Inverter. 6-Pin Connector.